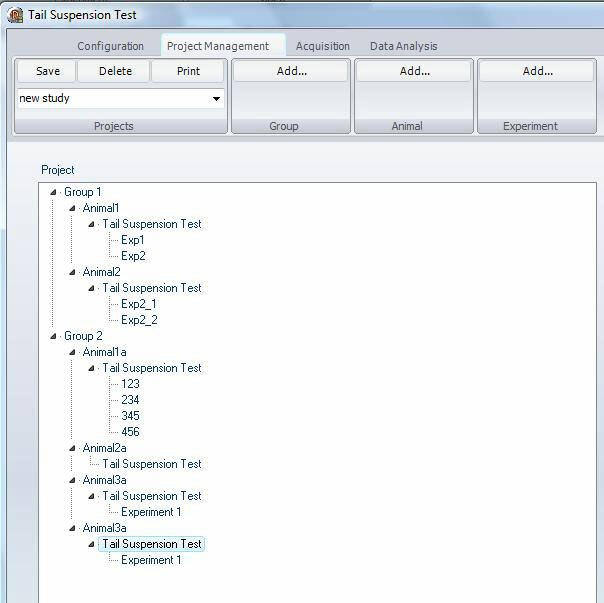 The software contains a project management tool that can be used to organize groups, animals and experiments. This tool facilitates the data analysis tremendously because you can generate group statistics on the fly. 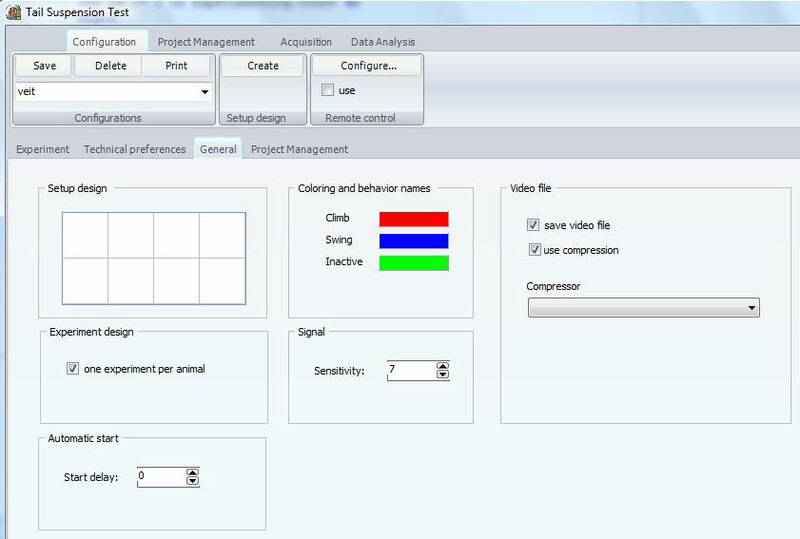 This screen shot shows some of the technical preferences like the color settings for the behaviors and video compression.